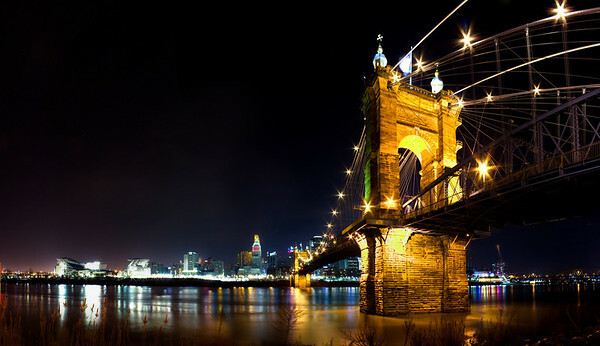 Cincinnati is a great town lying on the banks of the Ohio River. 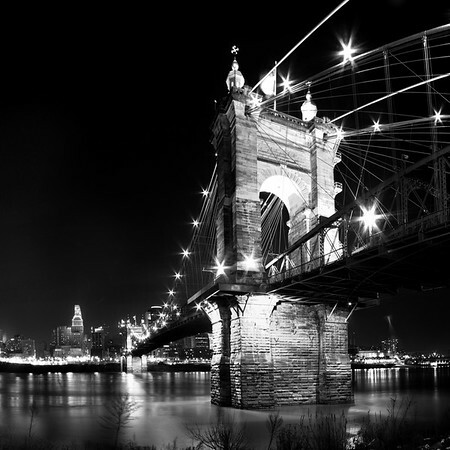 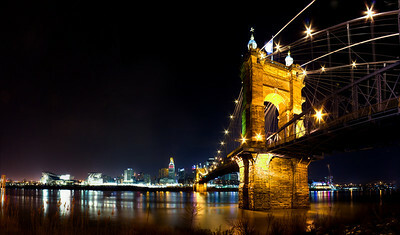 It has a fantastic skyline viewed from across the river, especially around the Roebling Bridge. The bridge is named for its architect John Roebling, who also designed the Brooklyn Bridge and others around the United States. Photography of Cincinnati, Ohio, its skyline, and the Roebling Bridge, available framed or as digital downloads. 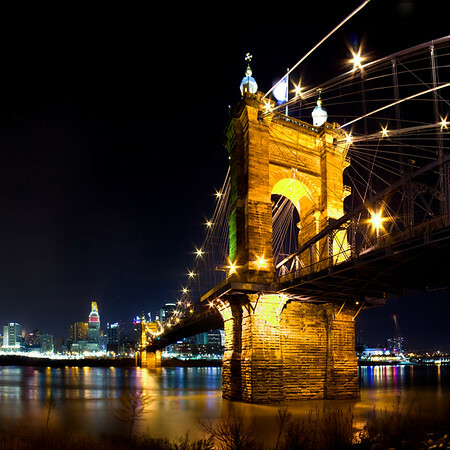 The beautiful skyline of Cincinnati, Ohio.